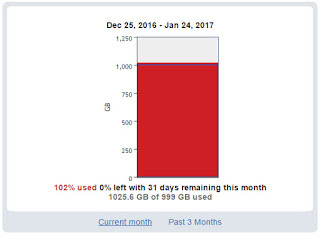 Last year in October we switched our Internet plan to a higher download limit. I tried to get ! terabyte of download in October and November, but missed the mark. 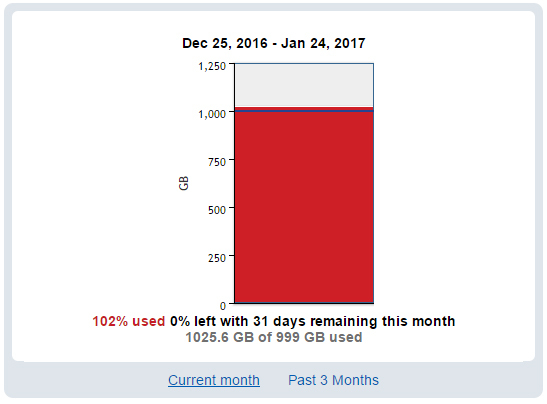 This month I went over by 25GB. 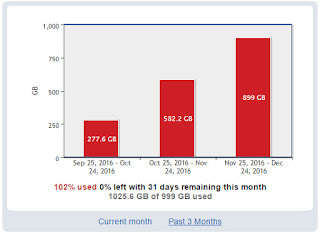 I will try each month to get as close to my limit without going over. Life is a game and we play it all the same, there is no end.